Previously it was reported that a Russian spacecraft, which was docked to the International Space Station, had a leak. Following the discovery of the leak, the astronauts onboard the space station quickly fixed it but it opened a floodgate of debates and controversies. Russia launched an investigation and even published a statement mentioning sabotage. However, the mission leader aboard the ISS, NASA astronaut and the commander of Expedition 56, Drew Feustel completely dismissed the notion that any of the astronauts aboard the space lab might have caused the leak. Now the Russian Soyuz rocket has again hit the headlines, as an American astronaut and a Russian cosmonaut had to go for an emergency landing after their rocket malfunctioned during a flight to the ISS. 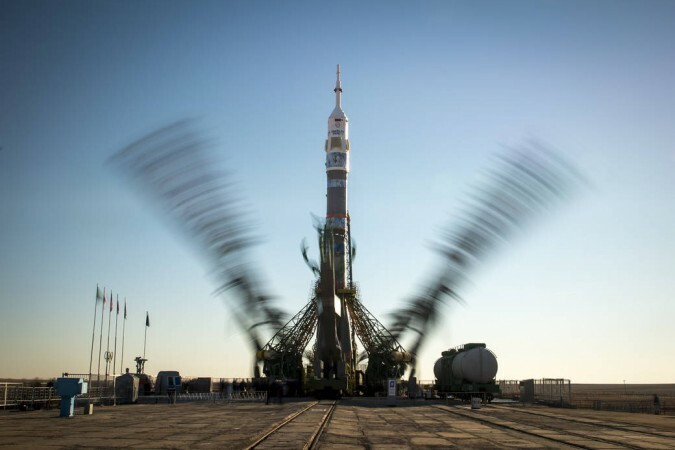 Soon after the rocket took off from Kazakhstan's Baikonur Cosmodrome, the astronauts, Nick Hague and Alexey Ovchinin, reported that there was a problem with the booster of the rocket. The launch seemed smooth until NASA reported that there might be something wrong with the booster rocket. In the live stream, NASA said that the problem has occurred between the first and second stages of separation. They were then forced into a "ballistic descent." Finally, the capsule got separated from the failing rocket and then deployed the parachutes to slow its descent. It landed near Baikonur, from where the rescue team picked them up. NASA reported that the search and recovery teams have reached the astronauts and they are unharmed. After the incident, Russia issued a notice saying that they have suspended all the future manned space flights, for now, and have already started an investigation to figure out what went wrong with the Soyuz rocket. Soyuz is not only one of the oldest rocket designs but also one of the safest options. Then, what went wrong this time? It appears that the failure occurred at the time of "staging", when the ascending spacecraft goes through the process of removing its empty fuel segments. The astronauts onboard most definitely understood that something was wrong because they reported feeling weightless at a time when they should have felt pushed back in their seats. The debate has already been going on for a pretty long time that Russia is not capable of maintaining the quality of the spaceflight industry like that of its yesteryears. This unfortunate event only strengthened those concerns.